This has been stored in my memory bank since day I browsed it somewhere, so we gave it a go last night…..
…… And it was a winner! 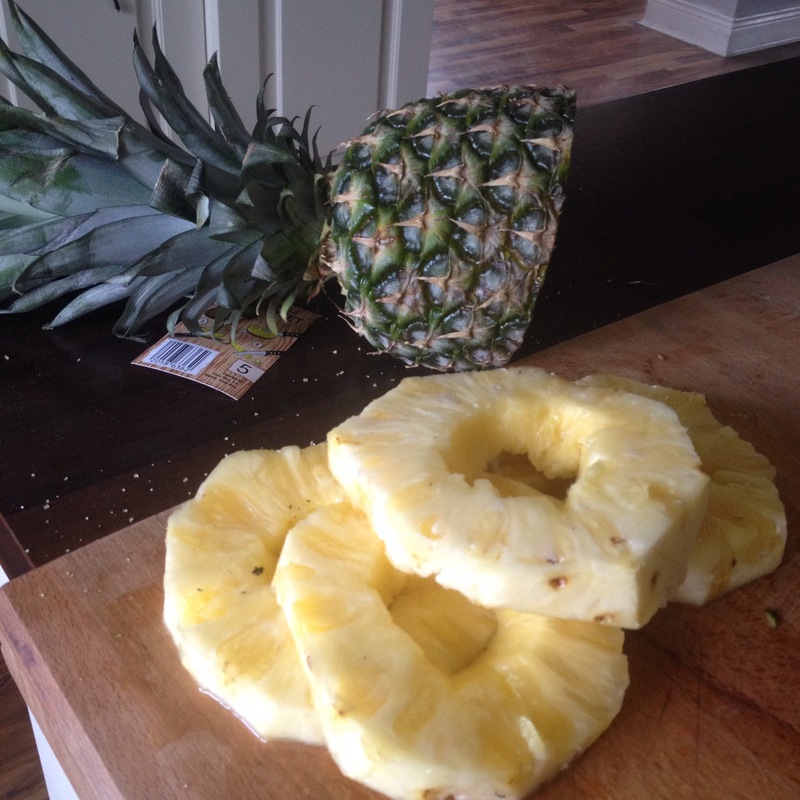 Cut a few pineapple rounds from a fresh pineapple, and trim the skin from the edges. Let the syrup bubble up around the pineapple then turn the pineapple rings over. Both sides of the pineapple pieces will look golden in colour now. 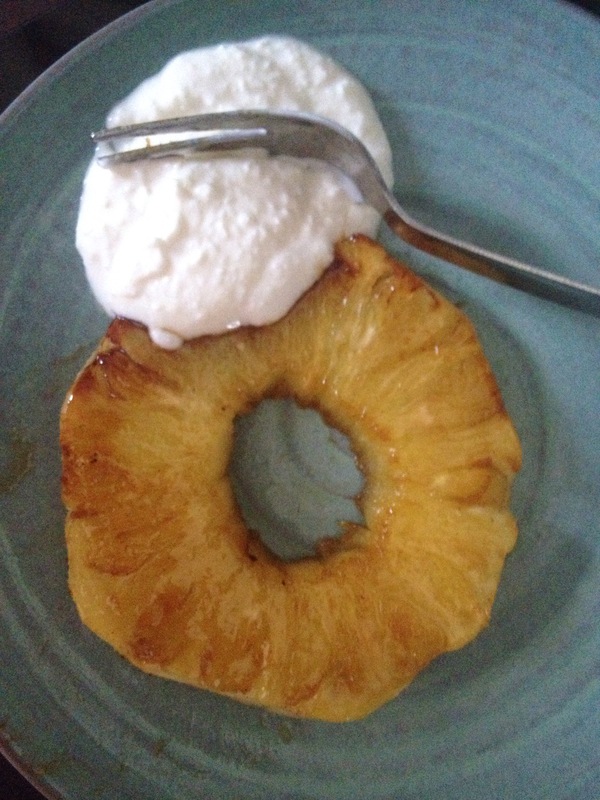 Lift the pineapple rings onto a plate and serve with Greek yogurt with dessicated coconut mixed through. The kids loved this so much I had to do another round! !